I would like to thank Leigh for all his help and support for my recent Standards Check, I achieved a Grade A.
Bespoke and confidential standards check training, either on a one to one basis or I can sit in and review one of your normal lessons – or a combination of both. Instructors who have previously passed under the old ‘check test’ system, or newly qualified instructors who have received training solely based around the Part 3 PST’s to qualify, sometimes have problems adjusting to what is required for the Standards Check. Does this mean you suddenly have to become an expert in coaching? I can show you how your existing levels of instruction will meet the standard. I am rated as a Grade A, and attended SC courses both before and since my SC and also run classroom-based Standards Check Workshops. 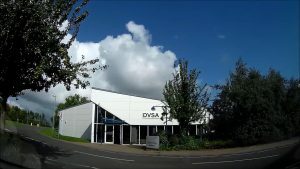 Earlier this year I was also one of a small number of trainers invited by the DVSA to Cardington for a workshop on the SC/Part 3 and proposed changes to the ORDIT scheme. I can advise you on the common pitfalls, and techniques the SE is looking for to evidence against the competencies in the National Standard for Driving Cars and Light Vans, and the training standard which the entire SC is based on. Contact me for a FREE hour one-to-one briefing on the standards check requirements. Practical sessions are a minimum of 2 hours at £40 per hour, to include 30 mins pre-lesson brief, observing a 1-hour session with your client, and 30 minutes debrief. Note I cannot supply a driver for your SC.